The title says it all, the recent success from the inaugural 1 Minimoto Challenge 2014 which was held at the technical circuit of Elite Speedway USJ; gave all the participants and the media members who attended the event a huge smile and memorable experience to themselves. Us in Malaysian Riders were also honored to be part of the event and we even sent two of our representative to take part in the racing. With huge focus on the MiniGP category being given, spectators were treated with an interesting cocktail of riders from all over the world such as; Taiwan, Malaysia, Hong Kong, China, Indonesia and even Tunisia. There were great smiles, great memories and great connection being made over the 2 days event. But as always, motorsports is a high risk activity and there were injuries, pain and tough condition being inflicted to everyone even to the the loyal spectators and supporters. Of course, the fans was not as big as we are hoping for recently but we are confident that it will grow to a bigger number in the upcoming round of the race. Therefore, we would like express our call to all motoring fans of Malaysia especially to those who are living in the Klang Valley area to come down and support the event. From our point of view on this amazing motorcycle racing event; and we have a few set of perspectives to share on this point alone. From the perspective of competing riders, we are sure that all of us racers are hungry to be in this kind of competition on a regular basis with more support and more track to competes on. The youth are also hungry for a proper development stage similar to what we can observe of this 1 Minimoto Challenge. Understandably, the organizer was working with an extremely tight budget and invested such a huge deal of time and energy to realize the event. The point of view of spectators or fans would like to see more promotion and carnival like environment to this kind of event so that they can stay around longer and kill time with all kinds of activities in the surrounding of the race stage itself. 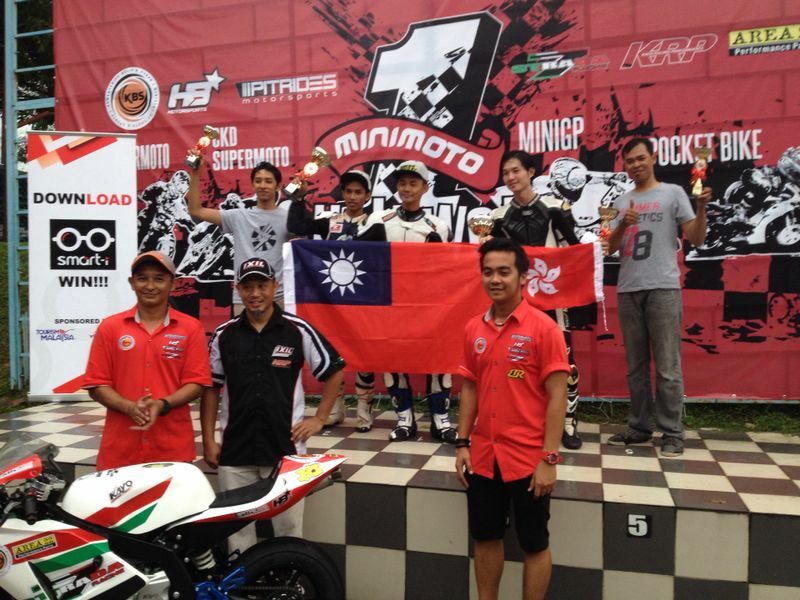 All in all, we are extremely happy with the inaugural 1 Minimoto Challenge 2014 which was supported by all the sponsors and also by the Ministry of Youth and Sport Malaysia. We are putting our effort to give more coverage and more love to the event if it is to be continued in the years to come. With hope, that it’ll be a full season racing series starting in 2015. We are also eager to put more effort in bringing you a high quality film or video coverage to such event. For more of it, please do stay tune with us in Malaysian Riders and please LIKE and SUBSCRIBE to our platforms.